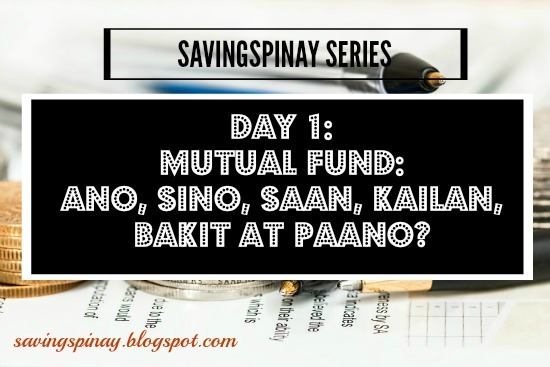 Today is the start of the SavingsPinay Series: Yumaman sa Mutual Fund. I am so excited to share in-depth thoughts on a – particular topic that’s close to my heart — Mutual Fund. Now I’m not an endorser and I don’t receive anything from FAMI. Based on my research its one of the longer and more stable financial company so it’s where I decided to invest. 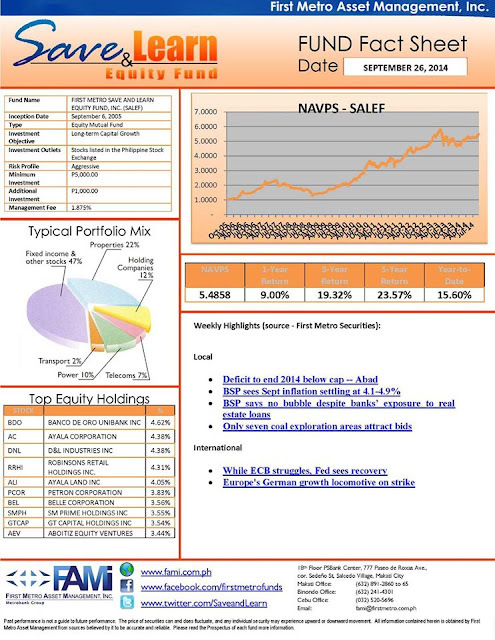 As first installment I will give an ultimate guide on what Mutual Fund is all about. Don’t forget to share your thoughts in the comment section below. The Fund Manager who acts as the professional who handles your investment is guided by strict regulations. They monitor the value of your investments and see to it that the earning potential of the fund is maximized. They invest the fund’s capital to produce gains and income. 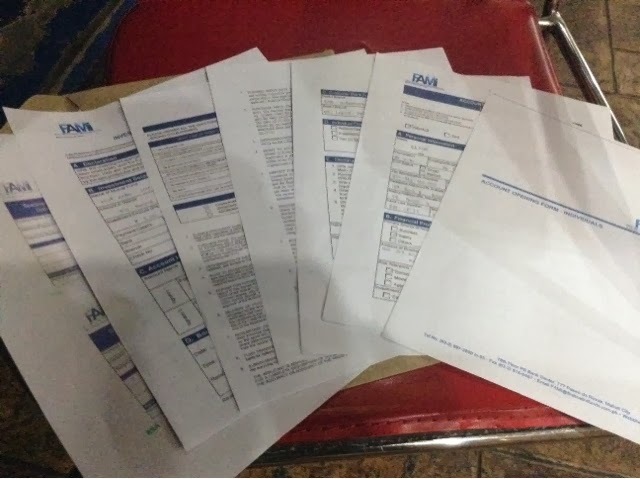 A typical mutual fund portfolio (which I will show later in this post) is very structured and maintained to match the investment objectives stated in the prospectus of the investor. Mutual Fund doesn’t make you an instant millionaire. You need to wait for your money to accumulate wealth in a slow bjt steady manner. For example, a capital of 25,000pesos invested in a Money Market Fund can be 2-3 million in 20-25years from now. (This depends on what type of mutual fund you invested). If you are willing to wait then mutual fund is for you. Mutual Funds are one of the easiest way you can own shares/stock. You won’t be bombarded with hard financial terms. You don’t need to worry deciding what stocks to buy or to sell. Philequity is an investment management company established to help achieve long-term financial objectives of investors by offering different mutual funds. It’s Philequity Peso Bond and Dollar Income Fund are reognized as best performing bond funds under the 5-year category. They currently offer six different funds. hi izza! thanks for this article. very helpful. i’m planning to buy shares from mutual fund. recently, one of my friend recommended to attend a seminar in IMG. do you think it’s more helpful if i will buy thru IMG or i can buy directly from the website of my chosen fund company? please advise….